First of all, i will not use this template engine anymore. It does the same thing as you can do by the classic way. 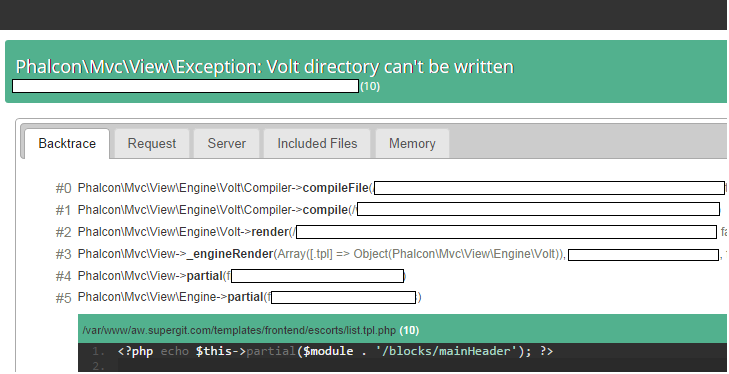 This Volt error occurs when your directory doesn't have 777 permission. Also, in case you've moved your files, permission might be changed on the resulted file that this Volt Template Engine creates, it must be 777 as well. Check these permisions, change them in case is needed.